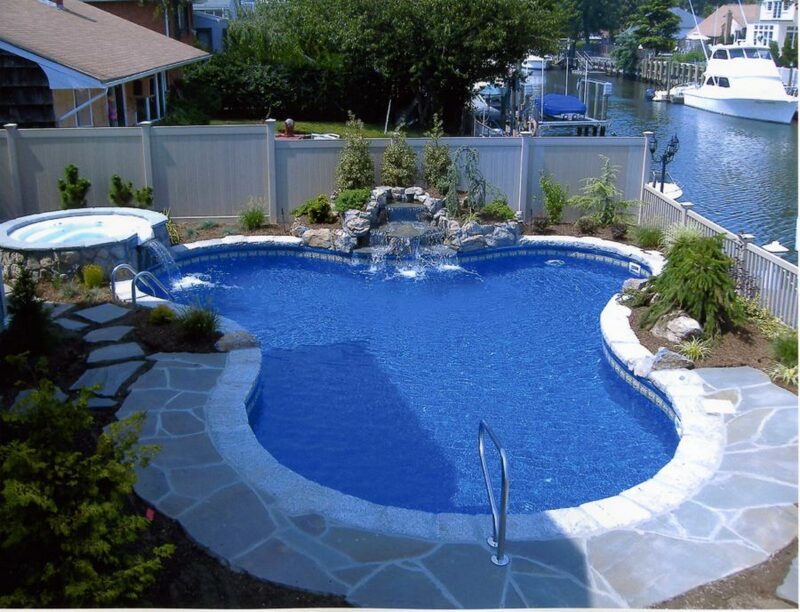 Are you thinking about getting a pool put in your own backyard? 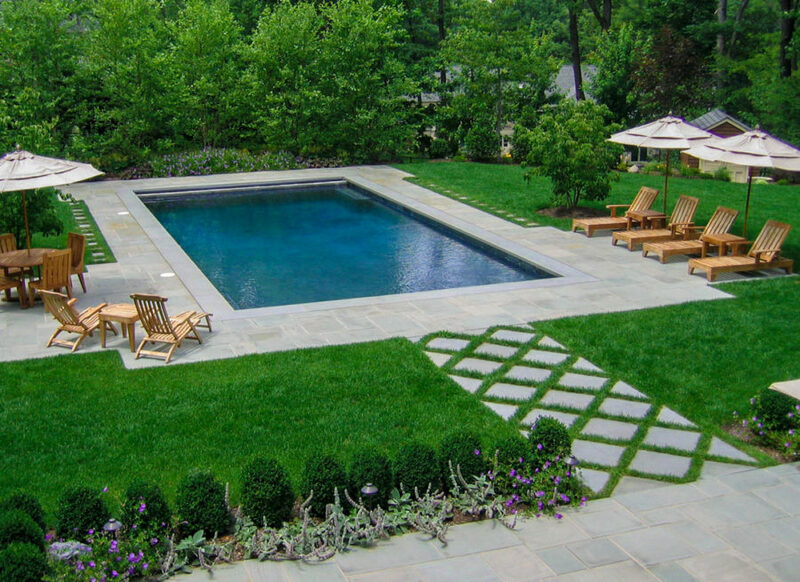 Before diving into that big decision, here are 15 pool designs to check out first! From smaller to larger – and deeper – there are lots of things – and shapes – to consider before taking the plunge. Take a peek and let us know what you choose to go with in the end! 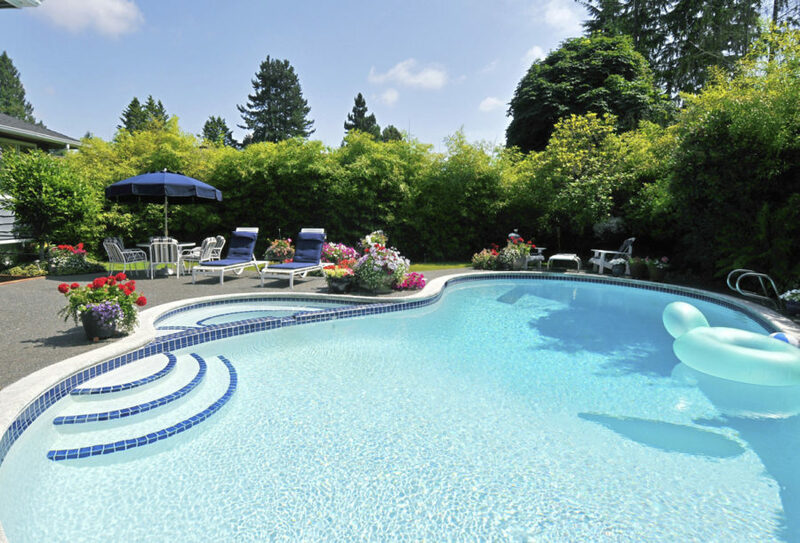 Simple Pool Tips starts our tour of pool designs off with the more luxurious of the options. This roundabout design covers a large area of one’s backyard but also surrounds the back porch creating a uniqueness and “resort like” quality. 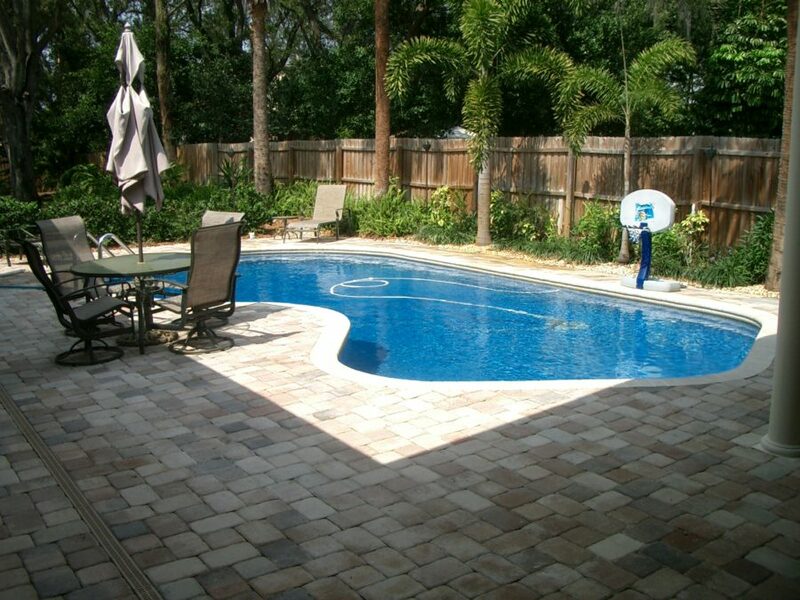 There are steps leading down to the deeper parts of the pool and a walkway that extends to the rest of the backyard. 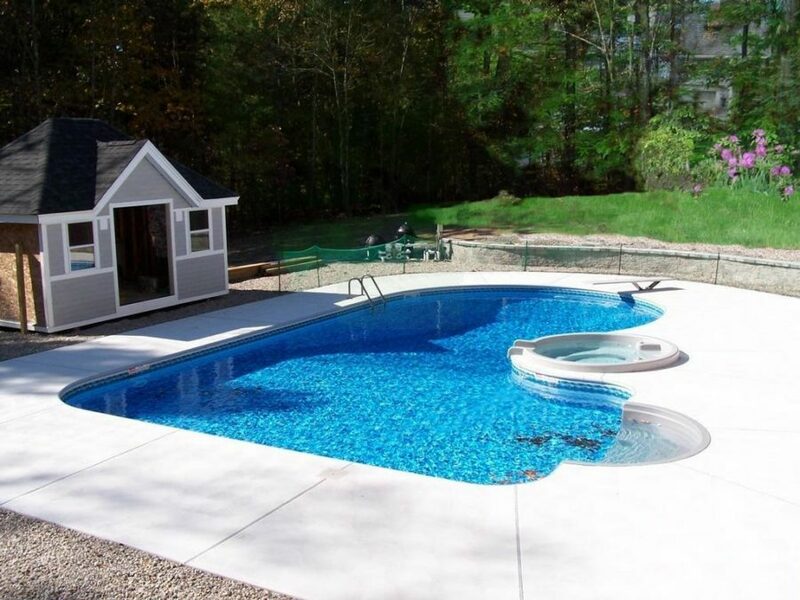 Here we have a classic, L-shaped pool that’s perfect for a family to enjoy. 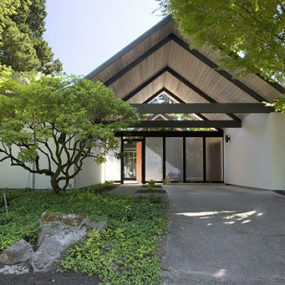 It’s topped off with a sip of waterfalls at the deeper end of the design as well as steps for gradual entry. 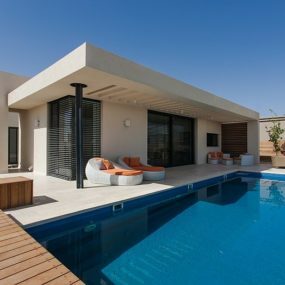 Thanks to Pinterest there are a lot more bits of inspiration in terms of the styling surrounding the pool as well. 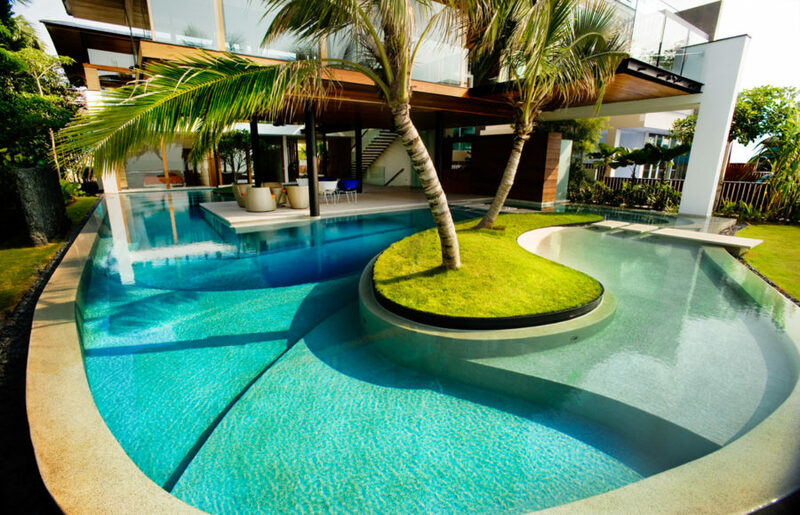 Homesthetics shows off this cross-shaped pool that we really love as well. It’s perfect for those with a more contemporary theme in mind. 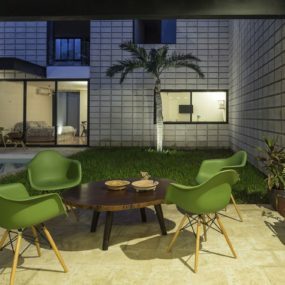 It’s also highlight by soft lighting and a modern fencing for privacy. 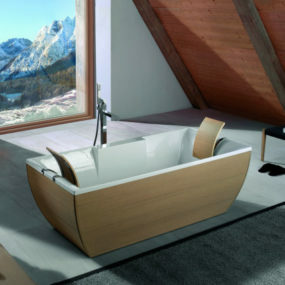 If you’re looking for something that’s a bit larger in size, then check out this spacious design from Yomar. There’s a hot tub addition and two kinds of entries for this large kidney pool – stairs and ladder. Of course, there’s the added benefit of both deep and shallow ends as well for everyone in the family to enjoy. 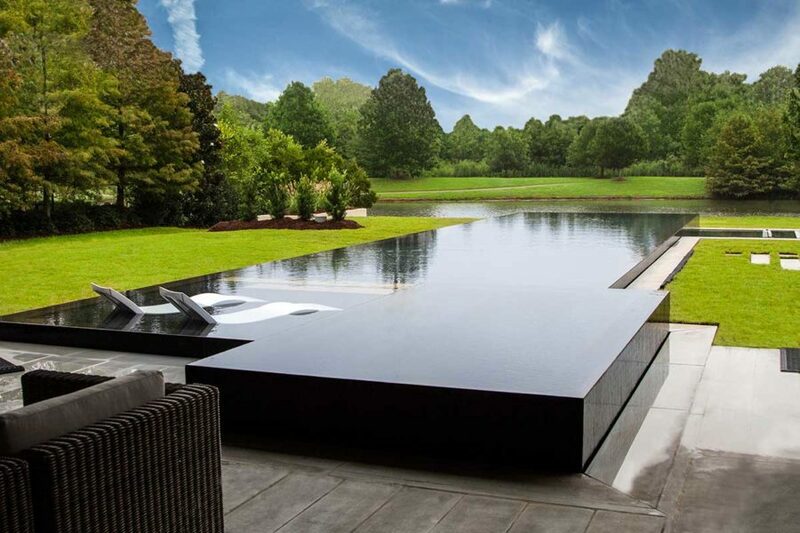 Selective Designs went with an infinity edge pool that we’re swooning over. If you want to go with luxury above anything else, then this is the design to go with. Add some built-in lounge chairs too for even more comfort. 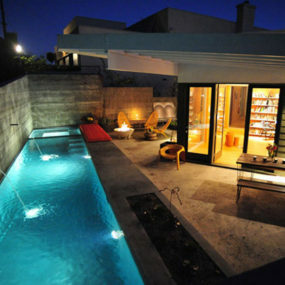 Here’s another pool design that envelopes the back porch. With a sunning area and waterfalls too, this space feels just as cozy as it seems plucked from your favorite mountain resort. Thanks to Pinterest, we’ve been flooded with new and original backyard ideas. 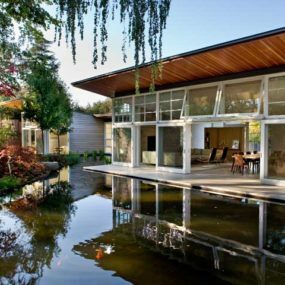 Pinterest gave us this more modern design completely with fountains surrounding the entire pool. It’s perfect for large homes with more space to utilize and ones with a more contemporary vision. 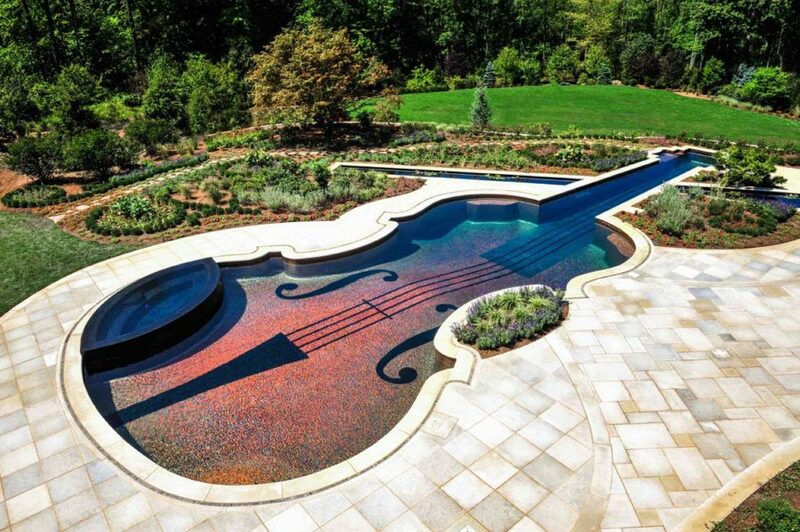 This is a great design for those that love to swim as well. 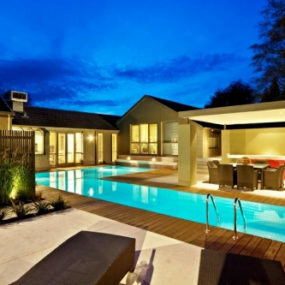 Check out this gorgeous pool design idea from Design Ideas! 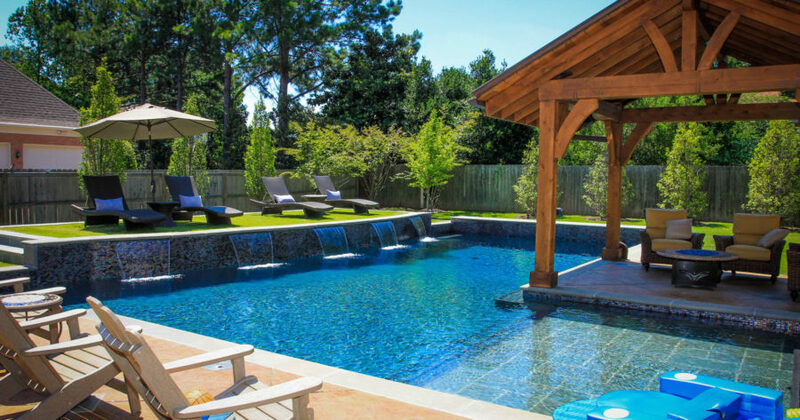 With a bigger budget you can truly turn your backyard into a vacation-worthy escape. Complete with a large pool, hot tub, waterfall and even a water slide, the family will enjoy every second of summer. 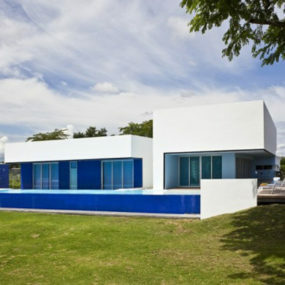 Here’s another L-shaped pool that we’ve become inspired by. 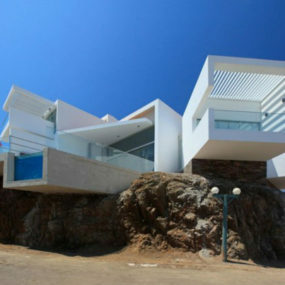 It’s got a certain Southwestern appeal and that waterfall addition creates a certain bout of luxury that we love. Pinterest has even more inspiration if you want to hop on over and see where this came from. Home Design Ideas gave us this funky, goldfish shape that we love as well. A waterfall for relaxation and a hot tub for the colder months, you’ll love this small escape hidden in your backyard too. And the stone walkways highlight the water beautifully. 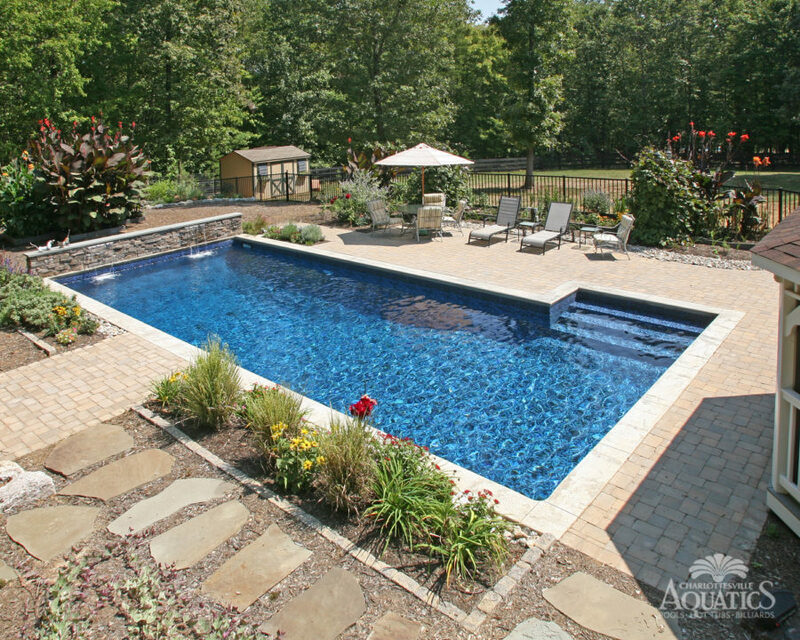 And finally, we end with a bang with this pool design over at Simple Pool Tips. 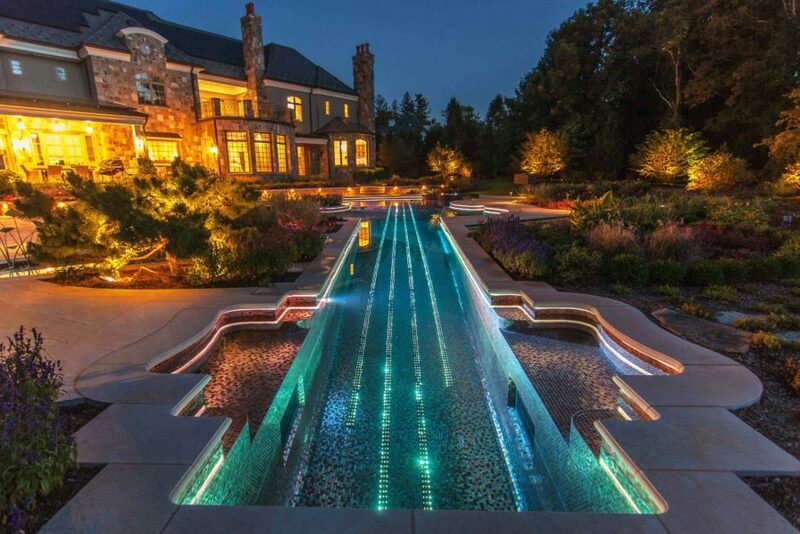 Elongated and full of lights for late-night swimming, this unique style utilizes a lot of the space outside in this grand backyard – and we love it! Custom designs can be so much fun!